Our stainless steel & aluminum handrail systems - with or without glass - are virtually maintenance free and are perfect for commercial or residential applications. Our stainless and aluminum trellis systems allow you to create a modern and architecturally unique system to display foliage and landscaping elements. These unique systems offer the designer a whole new approach to interior and exterior railing design capabilities. 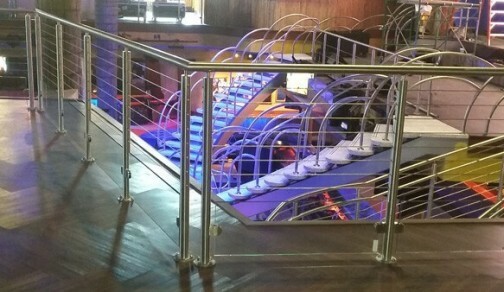 Our cable railing systems are used on commercial and residential projects all over the world.